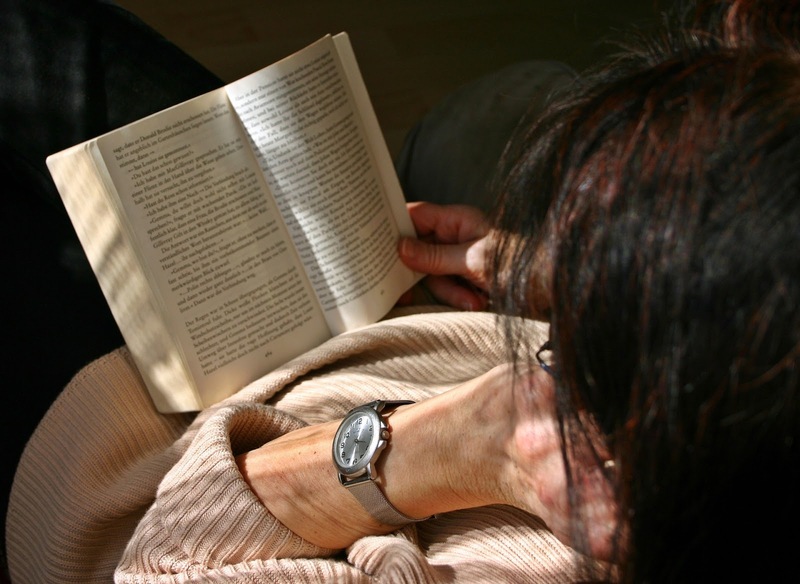 Author of the Holly and Ivy cozy mystery series, Sally Handley is also an avid reader and gardener and writes a monthly blog entitled “On Writing, Reading and Retirement”. Learn more about Sally and her books at her website. The words cozy and Christmas just seem to go together like peaches and cream. Before I retired in 2015, every Christmas, I used to drive with my dog from New Jersey to South Carolina to spend the holidays with my family. I managed to stay wide awake for the twelve hour road trip by eating candy bars, drinking Coca-Cola and listening to audiobooks. I still remember my delight the Christmas I discovered Deck the Halls, a collaboration by Carol Higgins Clark and her mother, Mary Higgins Clark. Listening to that cozy mystery as I drifted southward through the Shenandoah Mountains, was just the best warm-up for the week ahead. 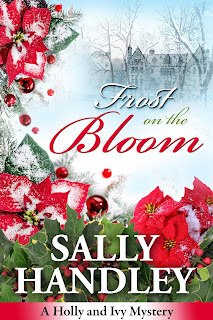 Book two of my Holly and Ivy mystery series, Frost on the Bloom, begins on Christmas Eve at the fictitious Skyview Manor, a really cozy setting. The irony is that when I started writing my first mystery, Second Bloom, I had never even heard the term cozy mystery. Oh, I’d read tons of mysteries, many of them cozies, but I’d never heard the term used to describe an entire genre until I attended my first International Women’s Writing Guild Conference back in 2013. Registration for the conference included a “Meet the Agents” session. In reviewing the agent resumes and trying to decide which agents I wanted to sign up for, I came across one whose write-up specified, “No cozy mysteries, please.” Wait. What? As you can guess, I immediately went on line and googled “cozy mystery”. The first listing I found was https://www.cozy-mystery.com/. That was my aha moment. As I read the home page introduction, I clicked off the major characteristics of the genre one by one. Amateur sleuths. All the characters lived in the same neighborhood. No blood and gore. Yes, indeed. I was writing a cozy mystery. Once I was able to put that specific tag on what I was writing, people started providing me with lots of helpful information. I learned about Malice Domestic, an organization that holds an annual fan convention in Bethesda, MD every year and celebrates traditional mysteries. I still recall how I felt attending that first conference…I’d found my people. Before starting to write this post, I searched “Mary Higgins Clark” to find the title of the book I’d listened to several years ago and discovered she and her mother have written at least five Christmas cozies. Then I searched “Christmas Cozy Mysteries”. I’m guessing “Christmas Cozies” will eventually become its own sub-genre. I have to close now and place my order for at least one or two in time to read this holiday season. 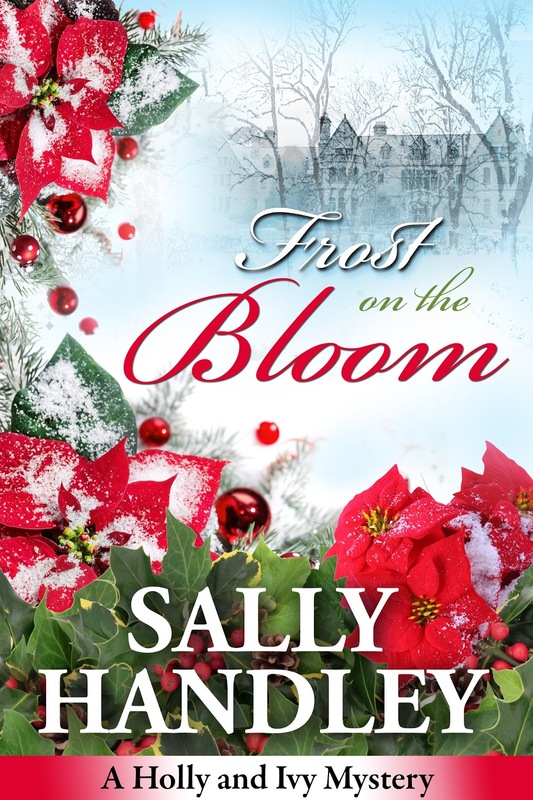 If you’re looking for a cozy Christmas read, I hope you’ll consider Frost on the Bloom. In this second book in the Holly and Ivy mystery series, one of Holly Donnelly’s former students, Becky Powell, asks the look-alike sisters for help when they all spend Christmas at Skyview Manor, and Becky becomes the prime suspect in the attempted murder of her manipulative grandmother, Lyla Powell. Once again the plucky sisters are reluctantly drawn into a murder investigation, convinced that Mrs. Powell’s duplicitous friends and greedy Powell family members have framed Becky for the crime. Holly’s involvement becomes a source of contention between her and Detective Nick Manelli, threatening their budding romance. Can their relationship continue to sizzle as the investigation heats up and the sister sleuths try to catch a cold-blooded killer? I love Christmas cozies, Sally! Thanks for a fun post. Thank you, Linda. Hope you enjoy it. Merry Christmas!